Thus, NMEA allow different instruments and marine electronics products to communicate between each other. NMEA0183 is an old standard created by the NMEA association, but it is now being replaced by the new standard called NMEA2000. However, NMEA0183 still is the main standard. 4800 baud is the lowest NMEA speed and is the most used especially by chart plotter, GPS antenna, marine instruments, etc. 38400 baud is mainly used by AIS systems such as AIS transponder, AIS receiver, etc. 115200 baud is the highest NMEA speed and is mostly used by racing boat to obtain a quick update of navigation data. Knowing the different NMEA speeds is important when connecting and linking different marine electronics products. 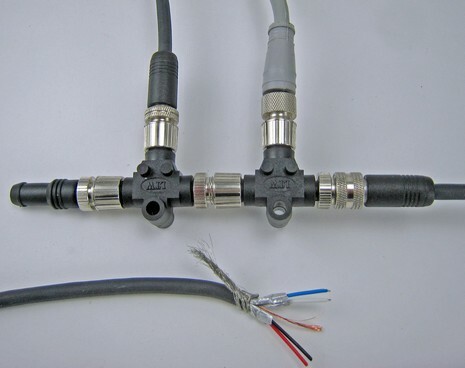 Although most of the new marine electronics products use the new NMEA2000 standard, they almost always keep an NMEA0183 connectivity. 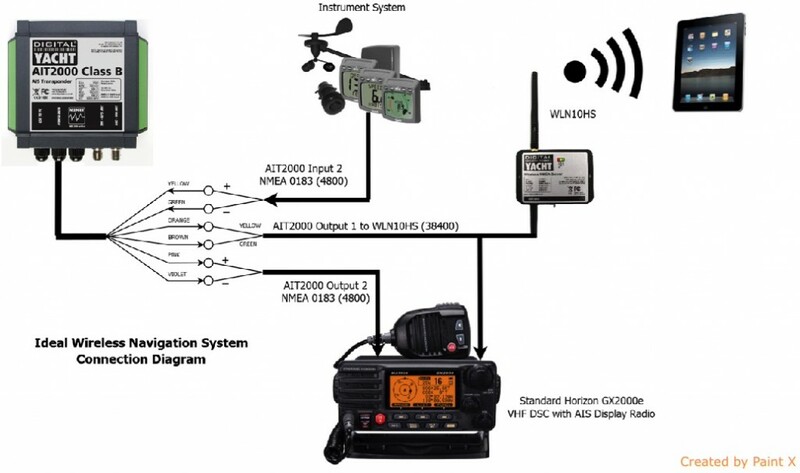 The NMEA association created this new standard due to the increasing number of marine electronic products on board and thus having more instruments to communicate between each other. It is a very easy plug-and-play communications standard. Most of marine electronic products directly take their power from the NMEA2000 network. The main goal of this standard is to increase the communication speed between marine electronics products and also to facilitate the installation of marine electronics products. Things are changing in the world of marine electronic interfacing with the introduction of a new open source platform called Signal K. It’s been developing quietly over the past few years by a group of enthusiastic and very bright developers and boaters and is now ready for wide scale implementation. The name comes from the original Signal K (kilo) flag which indicates “I want to communicate”! Signal K aims to be the next generation solution for marine data exchange. It is intended to be used not only for communication between instruments and sensors on board a single vessel, but also to allow for sharing of data between multiple boats, aids to navigation, ports, marinas, etc. It is designed to be easily implemented by web and mobile applications and to connect boats and ships to the Internet of Things Afloat. Many of you will be familiar with NMEA data standards which have been prevalent over the past 30 years. These standards were developed when the instruments on the average boat were much simpler and less capable. However, we don’t see the NMEA standard disappearing over night but equally a new format is needed for the next advance in applications. In fact, the combination of NMEA and Signal K on board is the best technical opportunity. 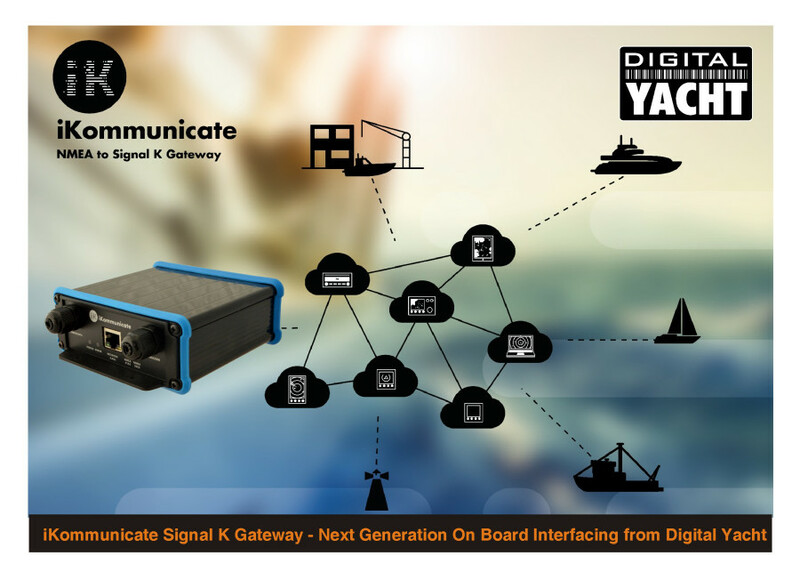 That’s where iKommunicate comes in – a full featured NMEA to Signal K gateway and server allowing existing marine electronics to integrate with Signal K apps.